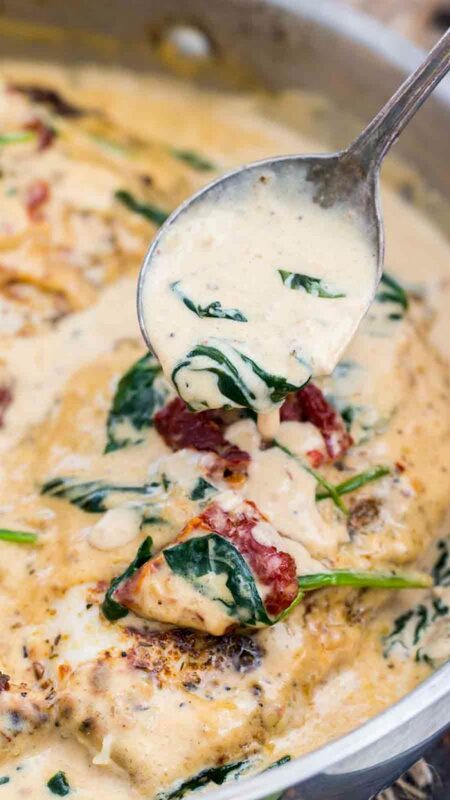 Creamy Tuscan Chicken is made in one pan in just 30 minutes. 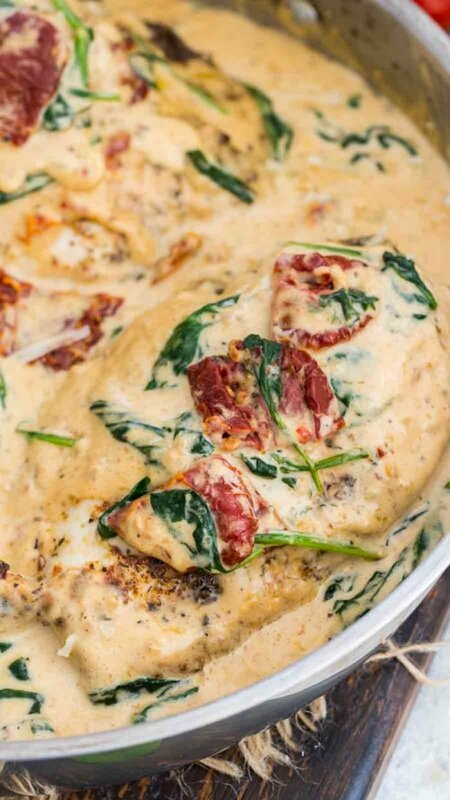 Made with flavorful dried herbs, rich cream, tangy sun-dried tomatoes and fresh spinach. Tuscan Chicken is such an easy and delicious dinner, that once you try it, you will be hooked. This will become your go-to meal and one of those, highly trusted recipes. This recipe is so easy, anyone can make it. Its perfect for a quick dinner or a romantic date night. The combo of sun-dried tomatoes and cream is so luxurious, it tastes like you ordered this dish from the menu of a fancy restaurant. Pin it to your DINNER BOARD to SAVE it for later! 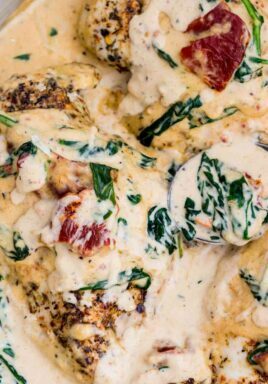 The chicken in this Creamy Tuscan Chicken recipe is seasoned with dried herbs and browned to perfection and when I first saw this creamy Tuscan chicken at The Recipe Critic, I knew I had to make it! 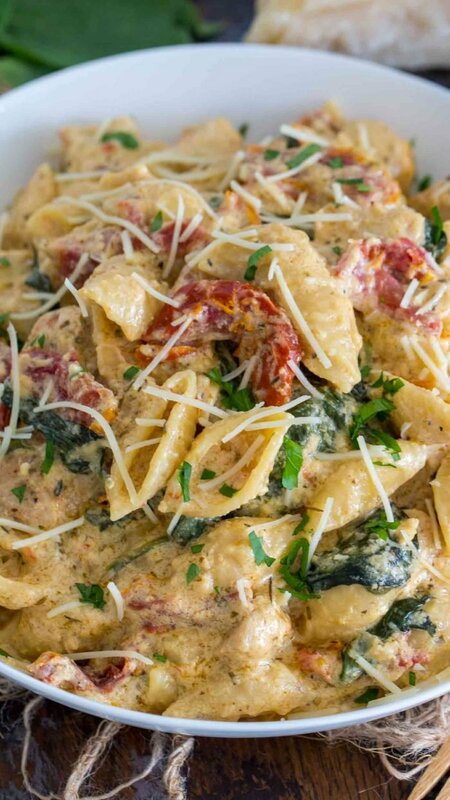 The sauce is unbelievably smooth, rich and creamy, made with garlic, cream, chewy sun-dried tomatoes and spinach. This dish can be served over pasta, or with some crusty bread on the side to soak all that delicious sauce. 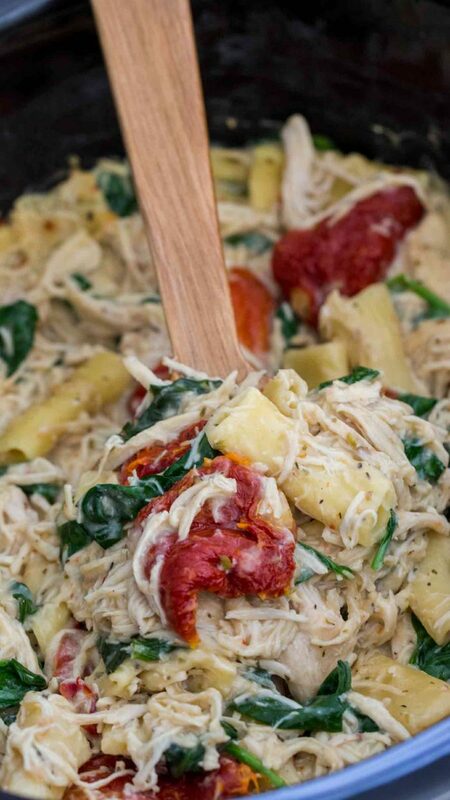 While there are many versions of Tuscan Chicken recipes, this delicious one pan version takes only 30 minutes to make. It also depends how thick are the chicken breasts, so always check if they are fully done. This recipe is very easy to make, it will be ready in just 30 minutes, and you will dirty only one pan. First, mix the dried herbs. Add chicken breasts to a large ziplock bag, and the seasoning mix to the bag. Shake well to coat the chicken evenly. Heat olive oil and butter in a skillet or cast iron pan over medium heat. Add chicken breasts and cook until golden brown on each side and no longer pink in the center. Remove from pan and set aside. Saute garlic in the skillet and cook for 30 seconds, stirring continuously. Then add chopped sun-dried tomatoes and spinach. Cook for a few minutes. Stir in the cream, parmesan and season with salt and pepper. Simmer on low for 1 minute and add back the chicken breasts. Pierce the chicken with a knife a few times, then pour some of the sauce over the chicken. Cover and cook on low for 5 minutes. Serve and enjoy! This dish is best served right away, as the sauce tends to thicken quiet a bit when cold. Tuscan Chicken is great served on its own with some dinner rolls or a French baguette to dip into the creamy sauce. A side salad or a vegetable dish, like Oven Roasted Asparagus makes a super side dish for this recipe. The creamy sauce is also delicious on pasta. If you are trying to watch your carb intake, zucchini noodles or baked zucchini would work great as well. The chicken is so juicy and tender, while the sauce is so creamy and flavorful, that its almost impossible to have any leftovers. However, if you happen to have some, add the chicken and the sauce to and airtight container and store in the fridge for up to 3-4 days. To reheat, add the sauce a medium sauce pan over medium heat and add 1/2 to 1 cup of milk or cream. Stir and simmer on low heat, add the chicken to the sauce. Once the chicken is warm, remove from heat and serve. 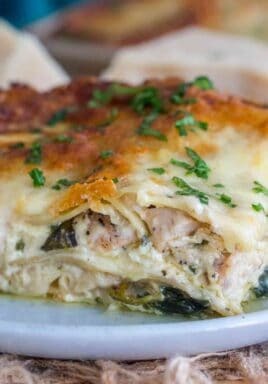 Other Fantastic Chicken Recipes to Try! Butter Chicken – Creamy and Delicious! Baked Lemon Chicken Thighs – Great Weeknight Recipe! 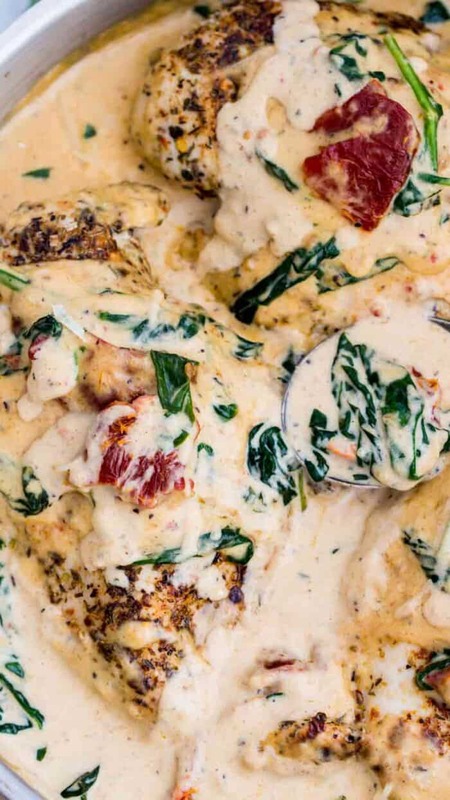 Creamy Tuscan Chicken is made in one pan in just 30 minutes. 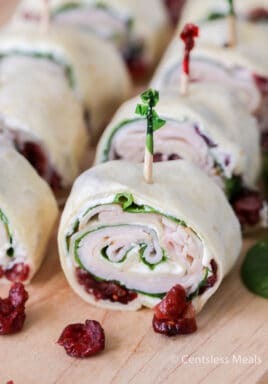 Made with flavorful dried herbs, rich cream, tangy sun dried tomatoes and fresh spinach. In a small bowl, stir together all the dried herbs and seasoning from the "For the Chicken" section. Add the chicken breasts to a large ziplock bag. Add the seasoning mix to the bag. Shake well to coat the chicken evenly in the dried herbs mix. Heat the oil in a skillet over medium-low heat. Add unsalted butter. Add the chicken to the skillet and cook for about 5 minutes on each side. Move the chicken around from time to time to ensure it cooks evenly and it doesn't burn. Cover it for a minute with the lid, to help the chicken cook quicker, in this case reduce the heat to low. Check if the chicken is no longer pink in the center, it can be just slightly uncooked as it will continue cooking in the sauce, but be careful, the center should not be pink. Remove from pan, place on a plate and cover tightly with foil. Add the garlic to the pan and cook for 30 seconds, stirring continuously. Stir in the sun-dried tomatoes and spinach, until the spinach is wilted. Add the heavy cream, salt, and pepper to taste, and bring to a boil. Add the Parmesan cheese, stirring until the sauce has thickened slightly. Place the chicken back into the pan, spooning the sauce on top of the chicken. Its best to pierce the chicken with a knife a few times, it will absorb the sauce better. Cover and cook on low for about 5 minutes. Calories based on 3 chicken breasts, 4 servings. Catalina thinks that time in the kitchen should be fun, and we should spend less time cooking and more time eating! As a successful business woman, with a busy career on Wall Street, she develops easy weeknight meals that you can make in 30 minutes or less!. Catalina lives in the NYC metro area with her husband, who is also a great cook, and their 4 year old boy, who gladly helps in the kitchen. Catalina will inspire you to experiment with flavors, try new ingredients and create easy meals with less effort. 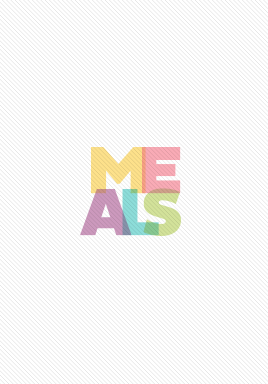 You can visit her blog Sweet & Savory Meals for more inspiration. Just made this recipe for the first time and it is delicious! Quick and easy! I added fresh mushrooms and used chicken cutlets instead of chicken breasts. Will definitely be making this again! So glad to hear that you love this chicken Gayle! Love this! All the ingredients are wonderful. And a great way to utilize spinach.